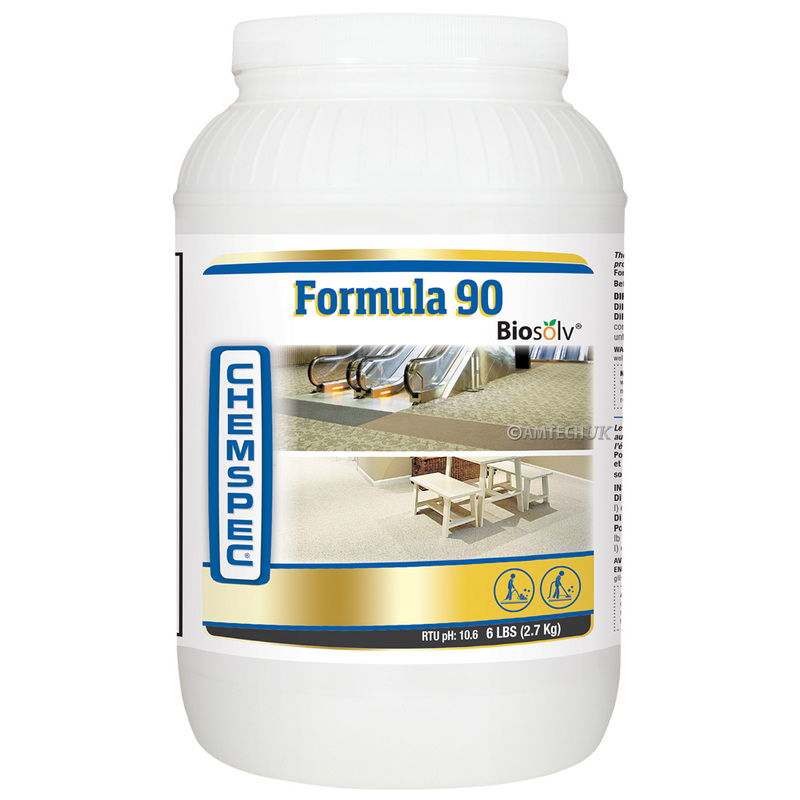 Chemspec Formular 90 Powder with Biosolv is a buffered, heavy duty and highly concentrated carpet cleaning detergent for use in tank with truckmounts or portable carpet cleaning machines. 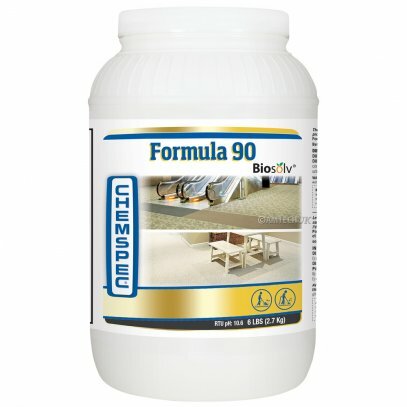 Its triple strength delivers consistent cleaning on every job. 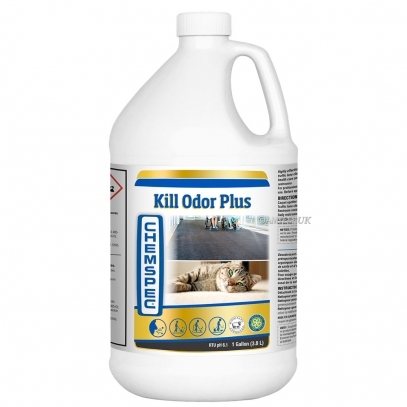 Ideal for heavily soiled cleaning jobs - commercial and residential. 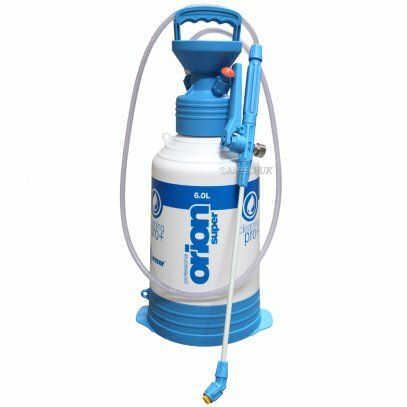 Dries to a non-tacky, crystalline powder which can easily be vacuumed away. 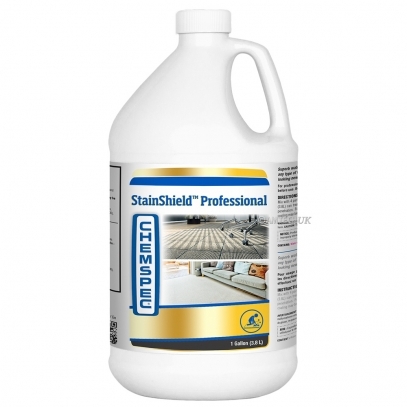 Minimum residue allows for a longer lasting, higher level of appearance between cleanings.